President Donald Trump has made cracking down on illegal immigration a centerpiece of his administration -- but so far his administration is deporting fewer people than his predecessor. CNN - President Donald Trump has made cracking down on illegal immigration a centerpiece of his administration -- but so far his administration is deporting fewer people than his predecessor. 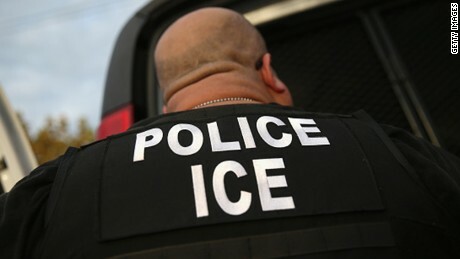 According to statistics from Immigrations and Customs Enforcement (ICE) given to CNN, the pace of removals under Trump in his first three months lags behind even the last two years of his predecessor, when then-President Barack Obama ordered his agencies to use more discretion when it came to deporting undocumented immigrants, focusing specifically on criminals. The numbers also stand against other recently released statistics that showed an uptick in the number of arrests made by ICE in the first two months of Trump's administration, especially of non-criminal immigrants. From Inauguration Day until this week, ICE removed 54,564 individuals, including 30,667 convicted criminals and 23,897 non-criminals, according to the data shared with CNN. Thus far, those numbers track slightly behind the pace of removals during the same time period during the past two years of the Obama administration -- and greatly lag behind the rate of deportations before Obama ordered greater discretion. From January 20, 2016, to April 24, 2016, ICE removed 62,062 individuals, including 24,953 non-criminals. The same time period in 2015 saw 59,938 removals, including 23,571 non-criminals. During the year that led to Obama hearing the nickname "deporter in chief" from pro-immigrant advocacy groups, the same time period in 2014 saw 87,690 removals, including 38,471 non-criminals. In contrast with deportations, arrests of undocumented immigrants has risen in the first few months of the Trump administration. In the first two months since the inauguration, ICE arrested roughly one-third more people than in the previous year, and more than double the number of non-criminal immigrants than the previous year. The rate of arrests and deportations don't always correlate, however. While some individuals can be deported within days because they already have a final order of removal and have exhausted their appeals process, it can also take years of court proceedings from the time of arrest to deport an individual. Backlogged immigration courts have been a primary driver of the release of many undocumented immigrants into the US on parole as they await court dates oftentimes years in the future. In a statement, ICE said that it is focusing its resources on people who are a threat to "national security, public safety and border security," but under the Trump administration, no undocumented immigrants will be exempted from potential deportation.